Imagine having your product featured right at the entrance of Dubai Mall, the world’s largest and arguably the most popular mall. It attracts more than 80 million visitors per year, and has been named the world’s most visited destination on several occasions. If you think that’s something, now imagine having an app featured on the app store, which hosts half a billion visitors each week. If the App Store was a mall, Dubai Mall would only be able to match its weekly shoppers in six and half years. No wonder featured apps receive up to 1747% boost on their organic download rates. 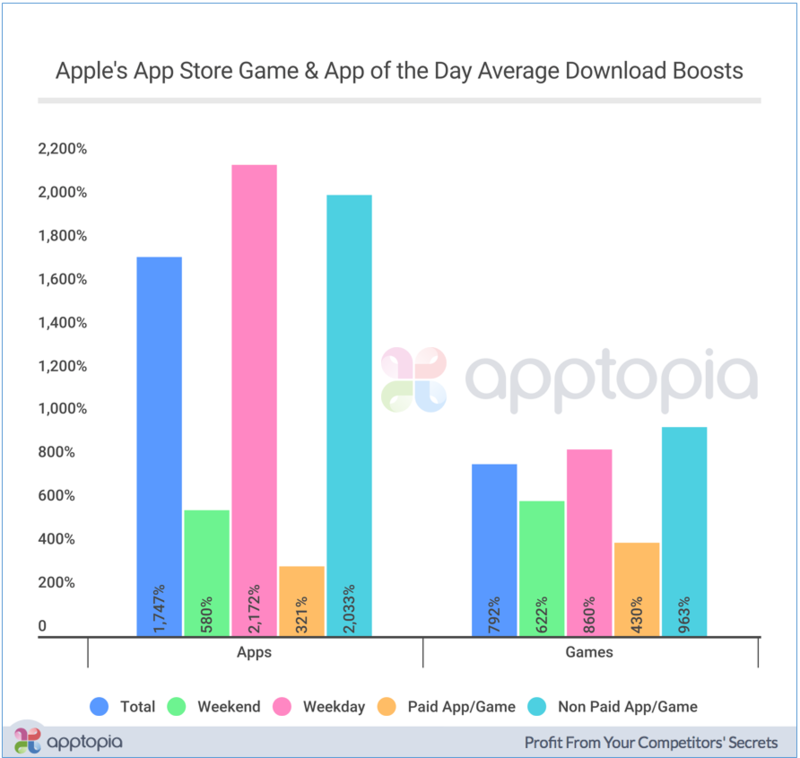 According to research conducted by Apptopia, the resultant exposure has seen at least half of the featured apps make $10,000 or more revenue per day. The best thing about it is that, unlike Dubai Mall, you don’t pay to be featured on the App Store. It’s completely free of charge. Sadly, that’s also the bad news, since all developers dream about having their apps featured. It’s a scramble of over 1600 application submissions per day, and Apple knows this all too well. So your app needs to stand out with exceptional all-around features to beat the rest. Of course, this can be difficult, especially when you’ll be competing against seasoned developers utilizing top-of-the-range app marketing services. In this post, we’ll help you put your best forward by expounding on all the critical elements you need focus on to win Apple over, and get your app featured on the App Store. There’s a powerful, dynamic and mutually beneficial relationship between app developers and Apple. It’s hard to tell who needs the other more, but Apple is sure making a lot of money from the App Store. If App Store was a company on its own, it would be among the highest ranked Fortune 500 companies. In 2015 alone, at a time when Apple was earning 30 cents on every dollar made through apps, the App Store grossed over $20 billion in revenue- placing it in the league of businesses like Netflix. They recorded a 40% growth in the following year, with developers earning $20 billion and Apple taking home a little bit over $8 billion. Cumulatively, according to a 2017 press release, developers had made over $70 billion through Apple’s App Store. All things considered, it’s evident that the App Store is raking in more money than Apple Inc. And that arguably makes the App Store their biggest asset. Now, of course, you wouldn’t want to mess around with your top dog, right? So Apple strives to maintain a healthy relationship with the developer ecosystem, knowing too well that the App Store would amount to nothing without creative and genius apps. That would even correspondingly make Apple’s products completely worthless, since they are heavily reliant on the applications. Apple features apps to promote and encourage developers. It’s more of a tap on the back, or a quality stamp from their editorial team. That’s why Apple has persistently continued to build on user experience with each new iOS release. And 2017 has not been any different. The App Store even got a major overhaul on iOS 11, with a bold typeface and an emphasis on images- all meant to improve the experience of scrolling around and downloading apps. If you want Apple to look your way, you’ve got to be on the same page. And what better to do so than borrowing a cue from their own ecosystem? For optimal user experience, you’ll notice that Apple principally focuses on three themes- depth, clarity, and UI deference. Does your app easily communicate its purpose and objectives? Do you have an app demo video that users can follow through? Is your app easy to figure out? Does the app elicit emotions of satisfaction and accomplishment? Does your app effectively and conveniently accomplish its goals? Essentially, the simpler it is navigating and finding the way your app, the better. Of course, you’d want to save yourself a lot of future trouble by developing a comprehensive hybrid app. Sadly, regardless of how good you might be at that, Apple is having none of it. Well, such hybrid apps may sometimes seem to be cooler and more flexible than native apps, but they are often laden with problems. 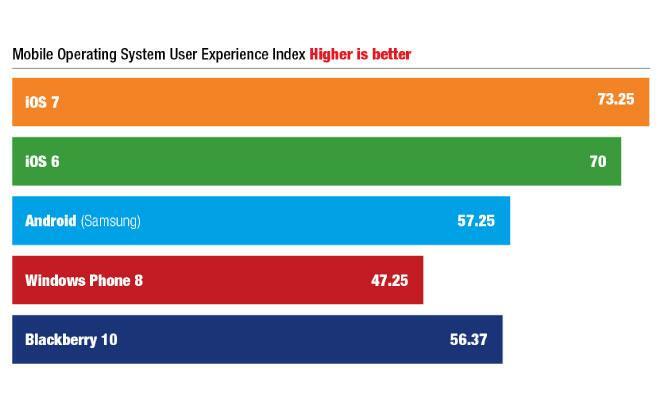 User experience especially takes a hit, because you’ll have to compromise on it to make the app usable across all platforms you might be interested in expanding into. Apple evidently doesn’t want to ride in the same boat as Mark Zuckerberg, who went on record saying that betting on HTML5 over native is the biggest mistake Facebook has made as a company. Apple is progressively dynamic. It’s like they quickly get bored with their own products, then challenge their engineers to come up with better, edgier gadgets and software. Whenever there’s something new, you’ve got to give it up to their marketing team for all the buzz they generate. And it’s not just on social media and the press. They also have ways of always reminding you about their new products even through the App Store. Try seamlessly incorporating any new Apple product or software in your app, and you’ll definitely get their attention. During the launch of Apple Watch, for instance, apps that heavily demonstrated its practical utility were noticeably featured on the App Store. iPhone X now has a wider screen than its predecessors, and the Apple community is very excited about it. That’s one thing you can take capitalize on through an interface that spreads to all available screen corners. As we’ve previously mentioned, Apple always has thousands of options to choose from when it comes to featuring apps. It’s also worth noting that the company has a wide range of devices on multiple platforms- Apple TV, Macbook, Apple Watch, iPhone, and iPad. So, putting all this into consideration, are they going to proceed featuring an app that’s only available on one platform; or will they promote a universal one, available on all their devices? If you were Apple, we bet you’d pick universal, without any hesitation. It goes without saying that Apple, as a company, seeks to support all their devices. They obviously wouldn’t want any of their customers to feel left out. That’s why they continue encouraging developers to embrace universal apps to not only boost customer experience, but also increase their potential user base. The best apps have been known to solve complicated problems. But they do it in the simplest ways possible. And that should be evident right in your use case. A use case is the principle reason why a user should be compelled to download and use your app. While your app may be dynamic with multidimensional approaches, it’s always advisable to maintain simple, clear, concise use cases. Two should be enough. Any more than that makes your app confusing, which further complicates even your app store optimization strategies. This not only aligns your app with Apple’s design guidelines, but also helps editors comprehend your overall objectives within the first few seconds. With thousands of apps to look into, you can be sure they won’t be paying too much attention to your detailed app review. Remember the first apps you opened immediately you acquired your first smartphone? What did they have in common? A perfect example is Gmail’s icon- simple, and very straightforward about what the app is all about. In addition to replicating the default email interface theme, the icon’s designers made it vibrant enough to pop against other apps. Have you ever walked out of the house in a fresh, new outfit, feeling really good, only to bump into someone with exactly the same look? There’s a reason the rarest designer items are usually the most expensive. Apple is not any different. While they might understand that you could possibly be seeking to launch in a big way across all the platforms, exclusivity has always been the rule of business. Apple has a lot to gain from an exclusive app. It’s one more reason why someone would consider getting an Apple gadget. Well, of course, that shouldn’t stop you from developing an app for android or windows. Just make sure you launch on the App Store first to boost your chances of a being featured. Conor McGregor’s chances against an undefeated world champion in an unfamiliar sport were slim from the word go. But pre-fight conferences were serious marketing bonanzas. They knew just how to generate buzz around an event which seasoned analysts knew would be a nolo contender. By fight day, they were poised to smash pay TV records, and all top sports brands wanted a piece of it. Now that’s exactly what well-thought-out app press release will do for you. Get a super team that knows just how to conduct pre-launch app marketing, and Apple will be looking out for your app before you even submit it. PreApps, for instance, is one company that continues to creatively strategize on app marketing to not only increase chances of being featured on the App Store, but also boost organic downloads by up to 10 times. The App store hosts half a billion visitors each week. Featured apps receive up to 1747% boost on their regular download rates. Over 1600 applications are submitted to the App Store each day. Hybrid apps may sometimes seem to be cooler and more flexible than native apps, but they are often laden with problems. Apple would only be interested in featuring a native app. Try seamlessly incorporating any new Apple product or software in your app, and you’ll definitely get their attention. Apple continues encouraging developers to embrace universal apps to not only boost customer experience, but also increase their potential user base. The best apps have been known to solve complicated problems. But they do it in the simplest ways possible. While your app may be dynamic with multidimensional approaches, it’s always advisable to maintain simple, clear, concise use cases. Two should be enough. Designing a stellar icon is the number one secret to getting your app noticed not only by Apple, but also your target users. Apple has a lot to gain from an exclusive app. It’s one more reason why someone would consider getting an Apple gadget. Get a super team that knows just how to conduct pre-launch app marketing, and Apple will be looking out for your app before you even submit it. Finally, you could save yourself a lot of trouble by following one of the oldest rules in the book- talk to someone who knows someone. PreApps has handled thousands of applications, and its marketers know just who to call at Apple to point them towards your App. As you think about giving it a shot, please feel free to share your thoughts on getting your app featured on the App Store.